We hold specialization in manufacturing, supplying and exporting a gamut of Silver Brazing Wires, which are known for their high tensile strength and durability. Our products are manufactured by experienced professionals, using premium quality brazing alloys that impart excellent melting, mechanical and flow properties. With sincerity and hard work of our experts, we have carved a niche for Silver Brazing Wire. Cupro Alloys Corporation offers wide range of Silver Brazing wires, Brass brazing wires, Copper Brazing wires in coil form or on spools. 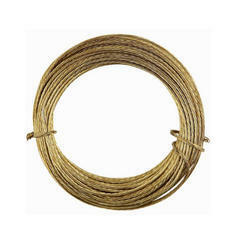 We provide the best in class quality of BRAZING wire and are suppliers to many OEM's. We are the leading manufacturer & supplier of Brazing Wire.We offer a comprehensive range of Brazing Wire. Being a leading firm in this industry, we are deeply engaged in offering a high-quality range of Aluminium Brazing Wire. Backed by qualified team, we are providing Copper Brazing Wire. In addition, experts to ensure the longer life check our offered products on varied industry norms. 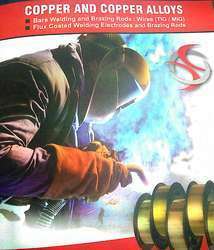 We have been counted amongst the most trusted names in this domain, engaged in offering a standard quality range of Brazing Wire. Backed by a team of adroit professionals, we are manufacturing an extensive gamut of Silver Brazing Wire. - Brazing alloy is also used for Silver Brazing Wire. - Its low zinc content makes it suitable for furnace brazing. - Brazing alloy has good resistance in marine environment and caustic media.